As CES 2015 is knocking at the doors, this is the time when companies will be teasing their new upcoming products to the public and create a wave all around. Sony has released a teaser video that provides a lot of clues on what it could be pointing towards. 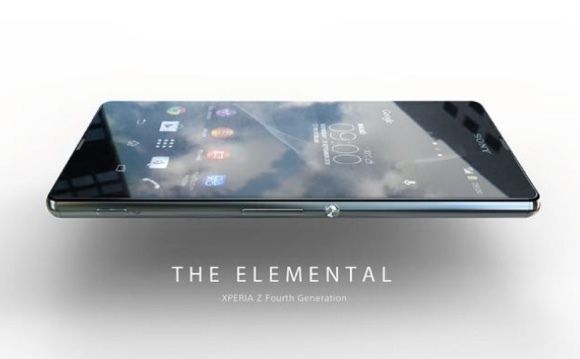 This would most likely be the Sony Xperia Z4 although we see a lot of clues on the number ‘5’. This most likely hints towards the smartphone running on the latest Android 5.0 Lollipop or can be another version of Xperia. Alleged image of the upcoming Z4 flagship smartphone showed up in a leaked email which was sent by Sony Pictures Entertainment for the upcoming James Bond movie, Spectre. According to the leaked emails, the phone will be featured extensively in the movie so when you watch the movie and see the smartphone James Bond is holding, be sure it’s the Xperia Z4, for now. For now the rumored specs of the upcoming Xperia Z4 includes a 5.2; QHD display, Snapdragon 810, 4GB of RAM and might come with a whopping 20.7 mp camera. Let’s wait and see in CES 2015 what Sony is really going to unveil!